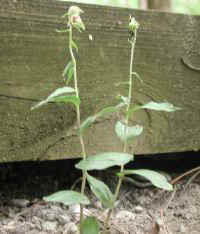 (Helleborine (Epipactis helleborine) - 05) The helleborine leaves grow alternately along the entire length of the stem. They are deeply veined, mostly sessile, and clasping. 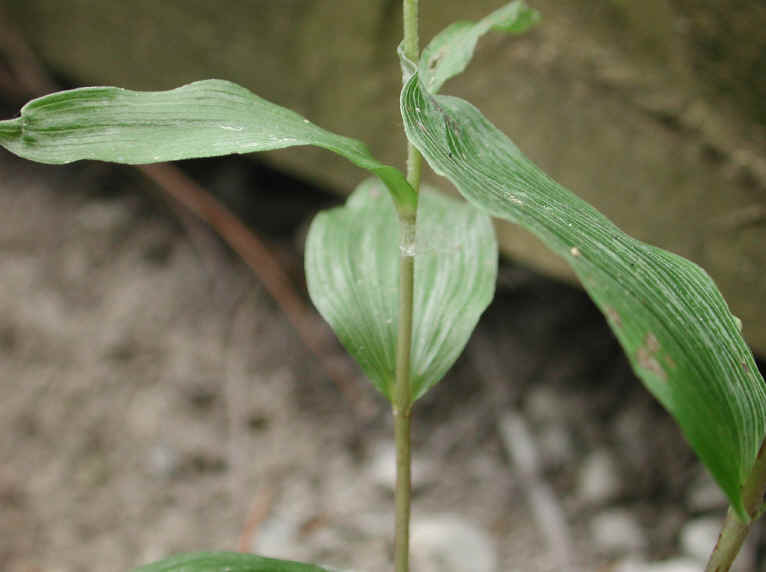 The leaves are lanceolate in shape with the lower leaves being broadly lanceolate.